George Young has formed a loose association of yachts sailing in Europe’s Northern waters. At the 30th Anniversary Dinner/AGM in Stratford this year I offered to run a Chapter for members in Scandinavia. This became the Northern Europe Chapter based on locations in the Membership Register. An invitation to join this new Chapter of the MOA was sent out to all members in the catchment area in mid May and so far Moody owners from Holland, Germany, Denmark, Sweden and Norway have responded with details of their sailing plans for the 2015 season. I shall update all members who have contacted me with an email newsletter as things develop and hope this article will encourage others to join in and make contact with one another as well as contribute to the newsletter. I must confess to having sailed down to Sweden and Denmark in M346 Anngeo Too at least eight times in the last 20 years but have not made contact with the owners of other Moodys I have seen – this will change! 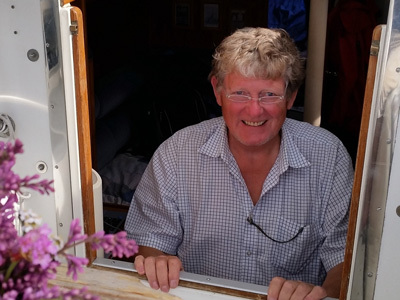 Hugh Evans and his family from Holland will be building up their experience by sailing M38 Solstice in local waters on the Ijsselmeer this year, as preparation for venturing further afield in the future. Keep a look out for Letitia, Hugh! M34 Blue Lady owned by Hans-Heinrich and Tanja Baecher sailing out of Flensberg will be visiting the Western Baltic (Ostersjoen). Maybe they’ll meet up with Michael and Anke Gleissner and M38 Trevi from Luebeck in the German Baltic or Hans Gillenius from Ödsmål in Sweden who is heading for Danish waters this summer. Willy Gjøsund and his mate Eli from Horten near Oslo bought their M33 MkII Lulu last year and sailed down toSweden. This year they plan to cruise the south east coast of Norway as far as Arendal and it sounds as though they hope to minimise harbour dues because Willy has bought a generator! Our plans are just for local trips between Bergen and Stavanger this year following our two month cruise through the Götha Kanal and Limfjord last year. 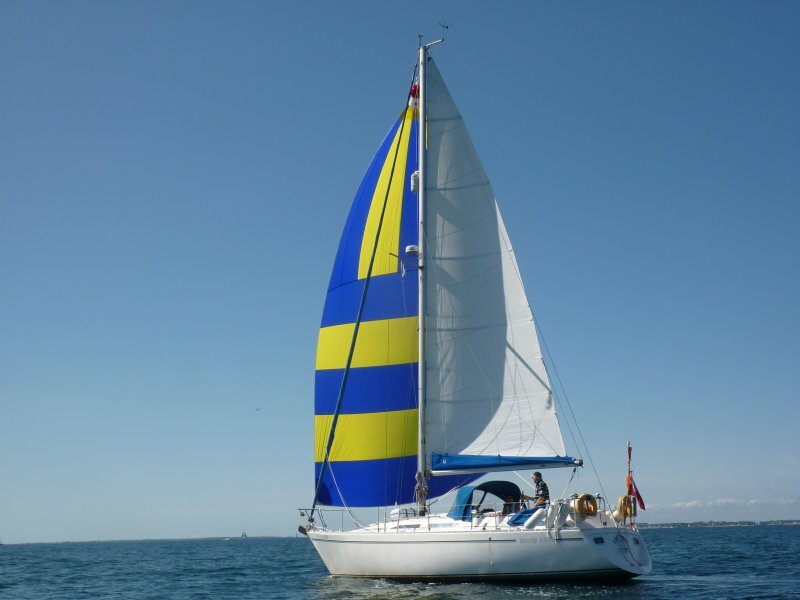 Look out for our much modified M346 Anngeo Too, cutter rigged with roller furling gender, windscreen, hard top doghouse, roll-over-bar and climbing frame at the stern! I hope the weather further south is better than here on the west coast of Norway where in early June both sea and air temperatures are unusually low coupled with plenty of rain – roll on global warming! Fair winds and warm seas.